The Atlantic Intracoastal Waterway stretches from Norfolk, Virginia, to Key West, Florida. Man-made canals link inland sounds and rivers for a sheltered “inside” route. Aside from its natural beauty and curious blend of engineering meets wetlands, it affords protection behind barrier dunes and beaches. It’s so calm that I know an older couple who installed a treadmill in the aft stateroom of their trawler to get some exercise while underway. “We walk from Virginia to Florida and back every year,” they brag. So how long does it take to travel 1,090 miles from Norfolk to Miami? It depends on the routes you choose, bridges you encounter and if you linger along the way. Mainly it depends on how fast your vessel travels during daylight. Some stretches have unlit navigation aids and narrow dredged channels whose edges are lined with stumps, sandbars and ledges, making it unwise to travel after dark. Even fast powerboats should plan to have reduced runs, owing to no-wake zones and sharing the water with slower vessels. But when the mighty Atlantic is roaring outside, the slower ICW route really pays off! 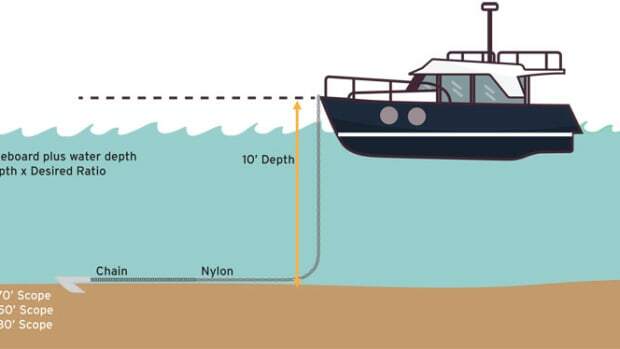 The ICW is appropriate if your boat’s rig or air height is less than 65 feet, the standard clearance of fixed bridges, and you draw less than 7 feet (6 feet is fine, and 5 feet is optimum). With prudent piloting on a boat carrying the required safety gear and standard equipment, traveling the ICW is fun and easy. It’s mostly day marker-to-day marker navigation, with numbered red triangle-shaped and green square-shaped aids. Temporary buoys are common, especially around ocean inlets, where storm sand drifts. ICW aids carry yellow decals to clarify the ICW route in or across seagoing channels. 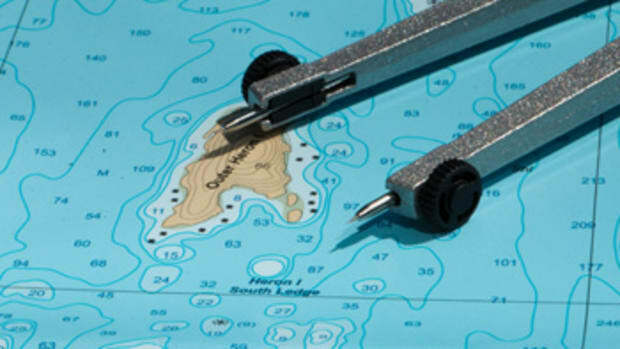 A GPS/chart plotter with an updated chip and the latest editions of paper charts are the basics needed. I like Maptech chart books (Regions 6 and 7 from Norfolk to Florida) in their dedicated waterproof sleeve for cockpit use. 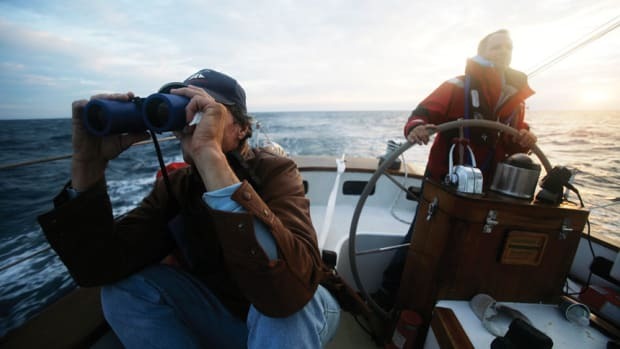 A reliable compass and depth sounder, binoculars, a fixed and a hand-held VHF, and good sunglasses complete the basics. 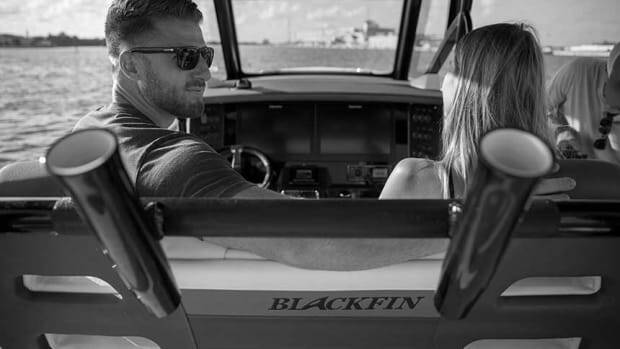 Inventory your boat’s spare parts, establish your weather forecasting methods and create your float plan before you leave. Suitable ground tackle for mud, sand and grass bottoms and a reliable anchor light are required. I advocate carrying a hand-held spotlight to hunt for unlit markers in the event you are delayed and have to run after dark, even if you have radar. Most ICW cruisers plan the day’s run around bridge opening times and evening anchorage or dockage. Dozens of lift, swing, pontoon and bascule bridges cross the ICW, many with restricted hours, and you may have to transit a lock, depending on your route. Schedules constantly change, and you will have to call each by VHF to request a transit. The must-have companion to up-to-date charts is the most recent edition of Waterway Guides (also available online). They are in two volumes, a Norfolk to Jacksonville guide and a Southern guide for Florida, essential for highway bridge information, VHF frequencies, schedules, instructions and restrictions. 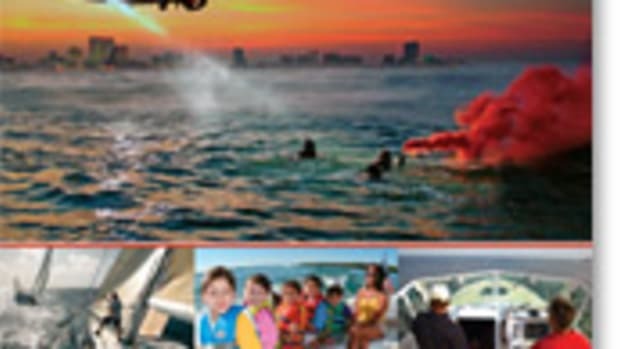 Pretty much everything you need to know is in these guides: skipper’s know-how, inlets, marinas and anchorages, navigation and hazards, and provisioning locations. Standard Rules of the Road apply, but there are a couple of extra points to keep in mind. To avoid narrow channel conflicts and damaging wakes, ICW etiquette requires any non-commercial vessel being overtaken to slow to idle speed to allow the overtaking vessel to pass. Know the strength and direction of the current, especially when waiting for a bridge to open. If meeting when coming through a bridge, the down-current vessel should be granted the right of way. 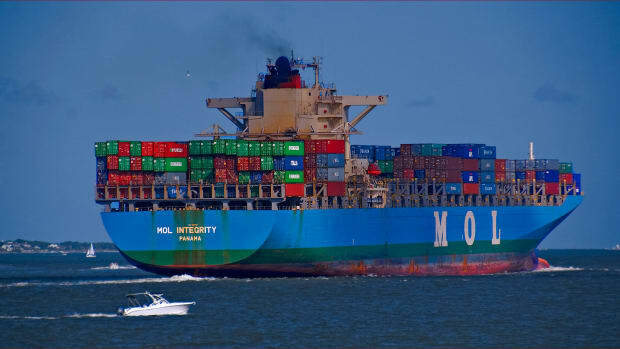 Consider any commercial vessel as constrained by its draft and be prepared to give way. Commercial vessels do not have to abide by lock or bridge schedules. If you lock through or benefit from an unscheduled bridge opening, be prepared to yield to commercial vessels and follow instructions. 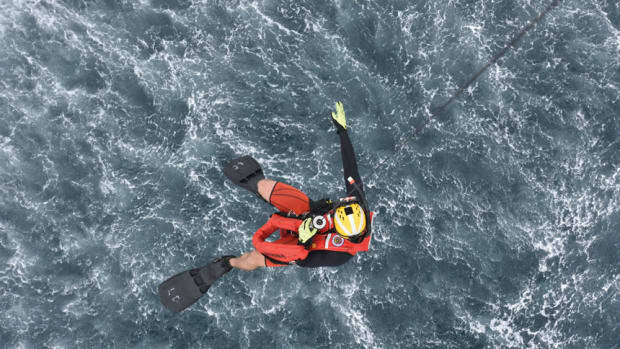 In all these cases, use the VHF radio to clarify. 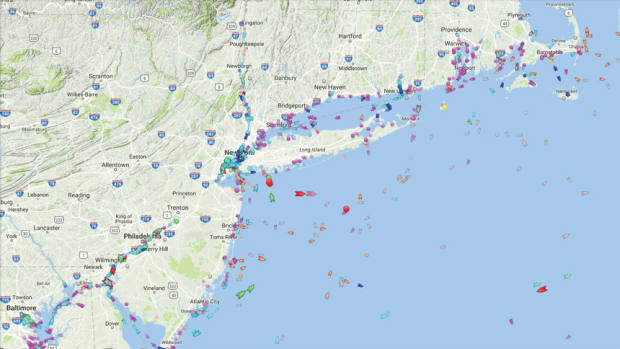 Remember that many commercial vessels run the ICW at night. Do not anchor in or near the channel edge, and keep an anchor light on. 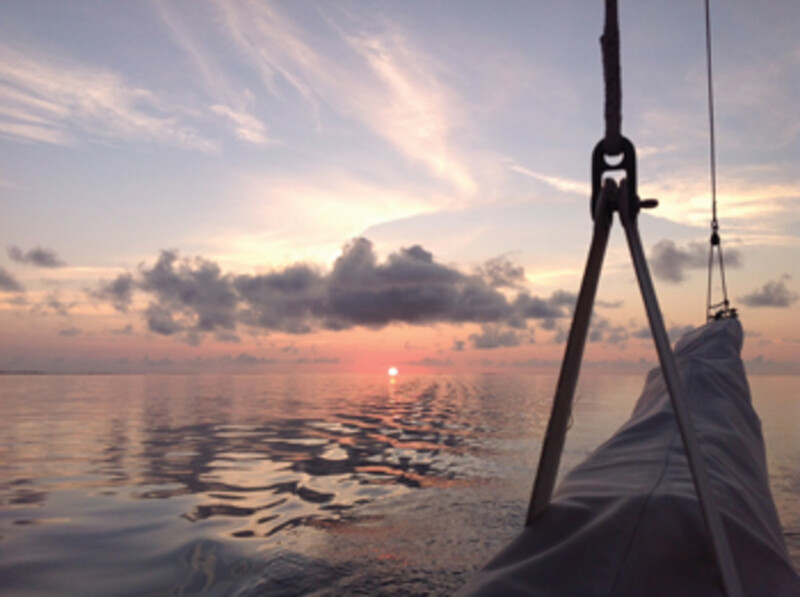 Some boaters adore offshore passages, but who doesn’t dream of gentle flat-water cruising? 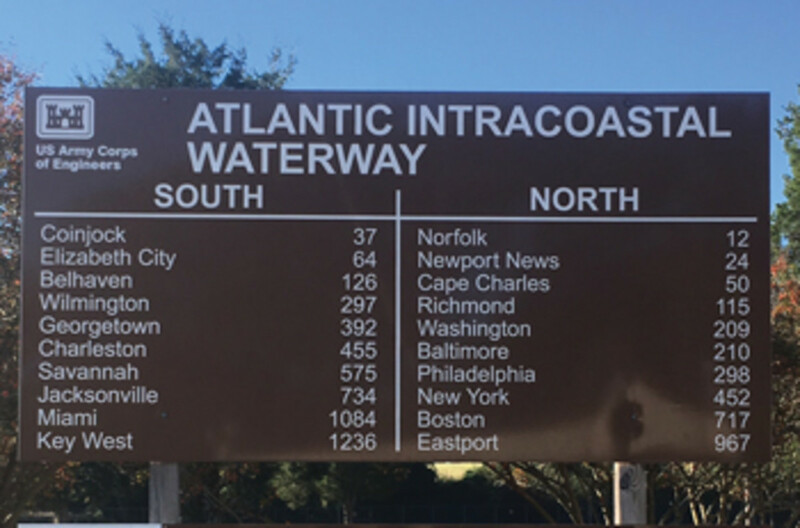 Whether winter is nipping at your southbound transom or if you simply enjoy a tranquil day-sailing pace, the Atlantic ICW is a treasure to experience.